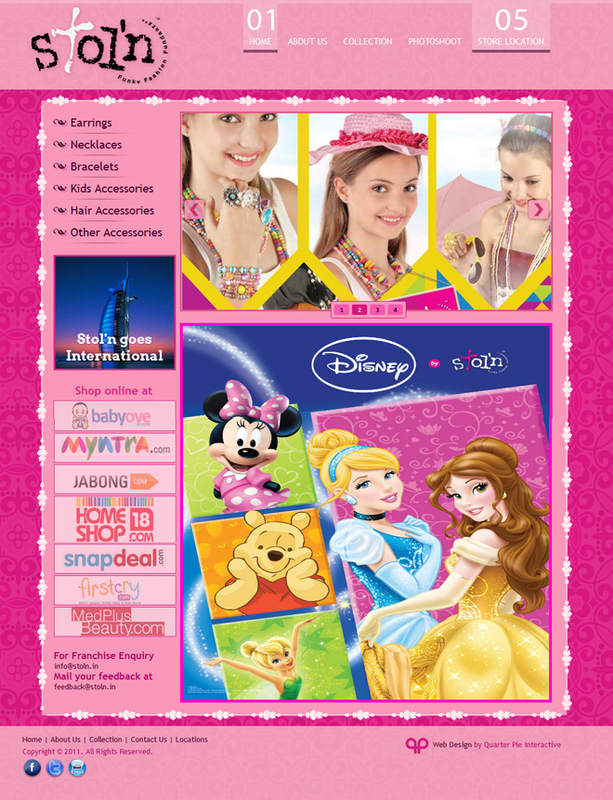 Stol’n Accessories is a well-known Girls and Kids Fashion Accessories brand with more than 250 outlets in India and Overseas. They wanted a website that would appeal to their audience and will have feminine colours and feel to the website. We did this design for them back in 2009 and since then we have been working on maintenance to keep the catalog and store locations updated for them. The website also has an easy to use Custom Made CMS built on PHP and MySQL and has URL Rewriting implemented for performance on Search Engines. We are happy to build your website related to Fashion Industry or a Product Showcase website if you belong to any industry. We love working on Fashion Brands Websites with Custom Made Design that appeals to their target audience.